For the sixth year in a row, Vienna recorded the highest number of companies settling in the city. After Vienna had already achieved a record figure in the previous year with 178 international new additions, this was again exceeded last year with 191 new companies, which is an increase of 13%. These business establishments together are responsible for investments totalling €537 million and 1,087 new jobs. There are 344 new foreign invested businesses throughout Austria. 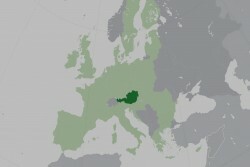 German companies remain the number one investors in Austria.